January Jones admitted it, but she was a rare case. 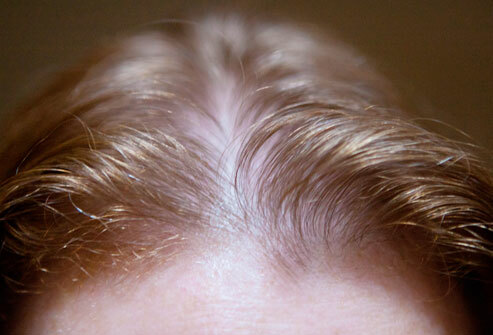 Female hair loss is a beauty issue that many women don’t want to talk about, or even acknowledge. In her case, Jones’ hair thinned due to frequent color treatments related to her acting career, so she started wearing wigs. But most women though will only wear wigs and hair pieces or turn to prescription remedies as a last resort and in the case of extreme hair loss, but for those who have a mild to moderate hair shedding, which can be due to age, medications, hormone levels, genetics, and other health or lifestyle issues, fill-in powders may be a suitable option. While the beauty industry has been slow to provide solutions, there are several options for women who experience hair loss. 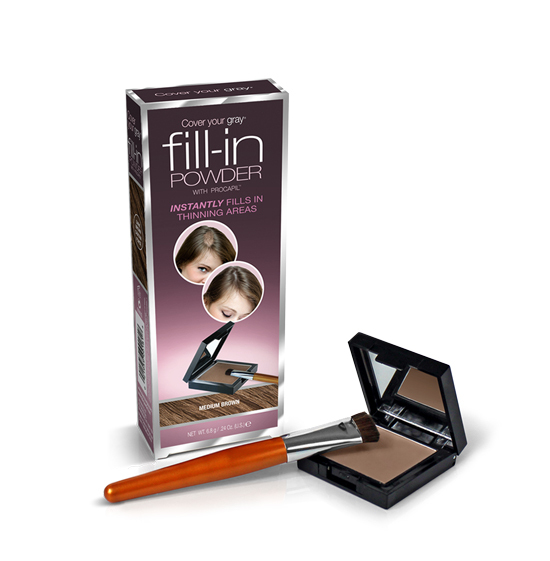 Products like Fill-in Powder from Cover Your Gray can be dusted on with a brush to conceal thinning around the temples and cover graying or balding spots. Cover Your Gray’s formula contains Procapil, a natural botanical that promotes hair growth and prevents hair loss, so while camouflaging thinning areas it can help thicken hair and protect against further loss. The powder comes in four shades for matching, and it stays on through rain, sweat and normal daily activities.